April 2, 2019, Union City, Calif. –SW, a global leader in high quality, innovative hand protection, now offers never-before seen protection, coupled with exceptional dexterity, in a cut resistant glove. Designed for use in high risk industrial applications, the sophisticated GraphEx offer ANSI A4 and A6 level protection, while providing better comfort, tactility and durability, lasting up to twice as long as other cut-resistant gloves on the market. 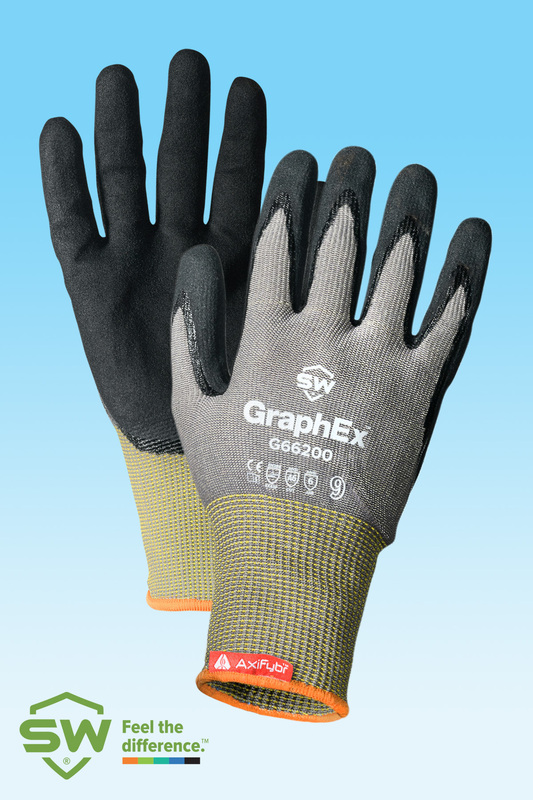 GraphEx gloves, the company’s first cut-resistant product, are made using SW’s proprietary AxiFybr yarn, which is 200 times stronger than steel, harder than a diamond and just one atom thick. AxiFybr is 48% stronger and 21% more cut resistant than the latest HPPE (high performance polyethylene) technologies, yet remains lightweight and flexible. GraphEx gloves do not use fiberglass or silicone, which are typical reinforcement agents in cut resistant gloves that contribute to poor long-term use and reduced worker efficiency. The elimination of these materials reduces the chance for contaminants, which often require costly rework and hinder production. In addition to improving wearer comfort, the gloves also increase worker performance by adding a touchscreen-compatible nitrile coating. This enhanced nitrile formulation also improves abrasion resistance by up to double compared to other coated gloves, reducing replacement costs by nearly 50%. These new pre-washed and form-fitted gloves from SW have significantly improved the comfort, flexibility, wear life and cost performance of A4 and A6 cut level products, resulting in a higher level of PPE compliance, longer wear and reduced hand fatigue. Three GraphEx glove types are available: cut level A4 with abrasion level 5; cut level A4 with abrasion level 6; cut level A6 with abrasion level 6. To learn more about GraphEx or to request a sample, visit go.swsafety.com/graphex. Download the GraphEx Press Release HERE. This entry was posted in Glove Technologies, SW Safety News and tagged abrasion resistant, axifyber, cut resistant, Gloves, graphex on April 2, 2019 by swsafety.